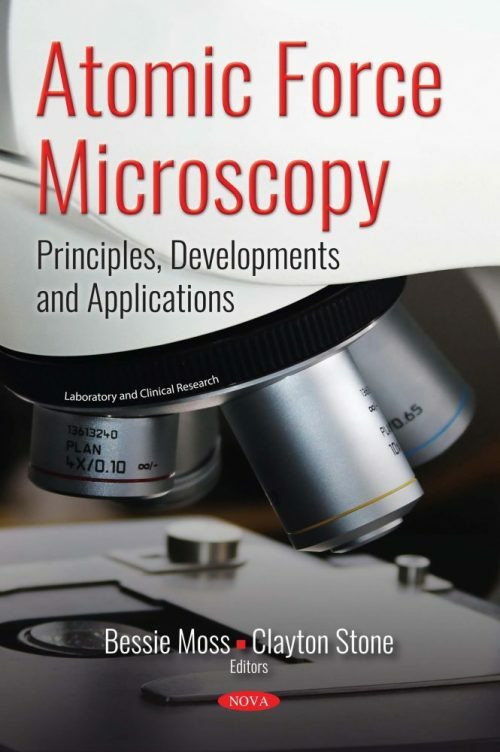 Atomic Force Microscopy: Principles, Developments and Applications presents Atomic Force Microscopy (AFM) as one of the most powerful tools for the analysis of morphologies because it creates three-dimensional images at the angstrom and nano scale. This technique has been exhaustively used in the analyses of the dispersion of nanometric components in nanocomposites and in polymeric blends because of the easiness of the sample preparation and lower equipment maintenance costs compared to the electron microscopy. Contributions to different application areas using the AFM are described, emphasizing the analysis of the morphology of composites/nanocomposites and polymeric blends based on elastomeric materials. Following this, the authors examine the basic concept of DEP and its integration with AFM to generate DEP, as well as review DEP-based AFM methods of imaging local electric polarizability with nanoscale spatial resolution. The direct measurement of DEP strength and polarity using a multi-pass AFM technique is described, contributing to the optimization and calibration of DEP integrated nano-devices for the effective control and manipulation of target biomolecules. The combination of in situ AFM-study of model crystals and ex situ-scanning of natural crystals makes it possible to carry out a partial reconstruction of natural crystallogenetics processes. With the use of these methods and microtomography, the authors estimate the concentration of silica in the mother solution at the time of capture of inclusions was estimated for the first time. Next, a study is presented with the goal of evaluating the morphology of surface asphalt films obtained through spin coating and characterized by AFM. The samples were pure asphalt and modified with two types of asphaltenes called continental type and archipelago type. The asphaltene fractions in the micellar system define the morphological stability of the asphalt resulting from a contribution of all the existing forces between the supramolecules of the system. The closing study presents in situ AFM investigations of crystal dissolution. The statistical data shows considerable differences in tangential dissolution rate on the two spirals consisting of nine and four screw dislocations.